Old Navy, once known derisively as the cheaper and less stylish alternative to sibling stores Gap and Banana Republic, has become a trendsetting advertiser. Timely and comical commercials from agency Chandelier Creative star a rotating cast of A-list celebrities and have helped redefine the brand as both relevant and witty. 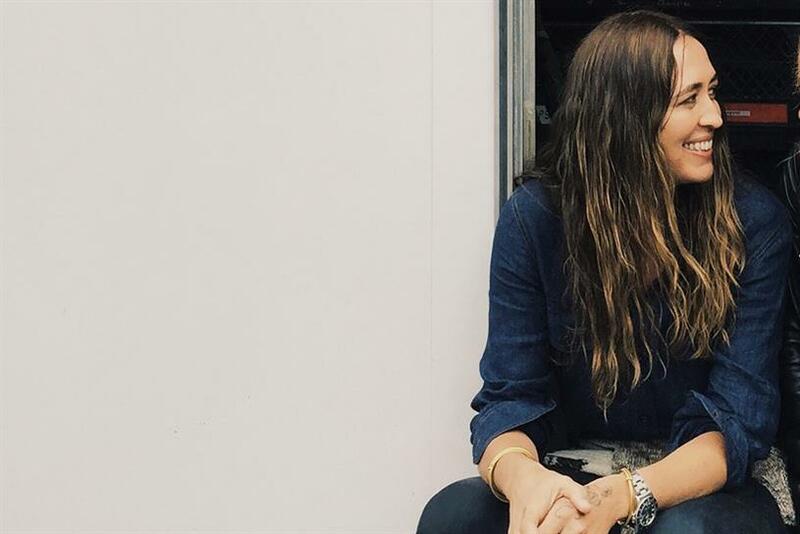 That campaign has been spearheaded for the past four years by Lena Kuffner, senior creative director and creative lead for Old Navy at Chandelier. In laying out the goals for Chandelier’s work for Old Navy, Kuffner didn’t want to discard what the brand had done well. "Old Navy had an element of fun and quirk and whimsy, and an offbeat celebrity component as well," she said. "The goal was to elevate the brand profile out of that history of kitsch. We really tried to evolve the component of ‘fun’ to be ‘funny.’ "
The result is work that doesn’t just sell, but also entertains. Julia Louis Dreyfus kidnaps Snoop Dogg to get her hands on the cash she’s seen in his videos. Amy Poehler abandons her law firm for well-priced jeans. But Kuffner’s path to Chandelier and Old Navy has been a circuitous one. She studied as a painter at Rhode Island School of Design, before taking up sculpture and carpentry, working with "old union guys" who "got a kick out of seeing a girl wielding power tools." In Los Angeles, she worked as a set carpenter and production designer, taking ample time off over the years to build out her house "with my own hands." It was on an Old Navy set about eight years ago that she met Chandelier’s founder and creative director, Richard Christiansen. The two Australians hit it off and became friends. "We really became creative collaborators in a lot of ways," Kuffner said. "I have a strong history in art and interest in design, so we were sharing knowledge and feeding each other as we were creating sets for Old Navy." In 2012, he asked her to join Chandelier as an ACD for Target. After that single project, she came on full-time as a creative director. The two complement each other’s abilities, Kuffner said. "We always used to joke that I was the straight man to his jazz hands. I’ve always approached the creative process from a problem-solving perspective. You’re constantly pushing and challenging the medium and your ideas." For Old Navy, that has meant bringing an element of narrative to an arena often devoid of continuity. "We’ve tried to evolve the creative to start with story and incorporate all the messaging that we have to get across in a way that feels cohesive," Kuffner said. "Making sure that we’re not just playing into a formula." Her time in production also taught her the value of working in a team, a skill that has been particularly useful in collaboration with comedians. "We’ve really tailored the creative with them," she said. Chandelier creates concepts for the spots, geared toward the strengths of the talent. While Dreyfus is is used to scripted, high-brow comedies, Poehler and Melissa McCarthy needed space to improvise. "There’s lot of wonderful things that happen on set, and there have definitely been times where the script is changing while we’re there." Success in two male-dominated fields has also helped hone Kuffner’s own vision. "I don’t think that being a woman has defined my creative work," she said. "But I do think that advertising is a difficult landscape for women creative directors especially." "The most important thing is just to trust my skills and my abilities and my talents, and not let anything cause it to waver in any way. I think that’s just part of being trained as a creative."